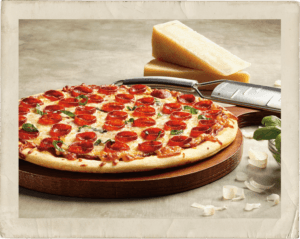 Distinctive Flavor – You’ll be proud to serve it on a pizza and your customers will crave the popular West-Coast flavor. Excellent Performance – Consistent piece count and slice dealability for more accurate portion costs, reliable coverage and better operational control. Since 1930 Swiss American Sausage Co.™ has been the West Coast source for high quality dry and Italian-style sausage products. Whether you operate a pizzeria or restaurant, or you are a manufacturer, processor or distributor, you can count on Swiss American Sausage for the flavor, variety and quality your business needs. Our facility in Lathrop, California, makes us optimally located for West Coast distribution. We’re committed to your satisfaction and we promise you the highest quality product delivered with the best customer service. Contact us about more information on Swiss American products.